Online shopping and eCommerce have become a significant part of the global economy. By understanding trends in online shopping and how each part of an eCommerce site from customer reviews to social media links can affect the traffic and conversion rate can help online business better serve their customers and increase their revenue. Below are some online shopping and eCommerce statistics, trends, and even some fun facts you might not have known. How Often Do Buyers Shop Online? Each year online sales continue to increase and 64% of Buyers stating that they prefer making purchases online versus going into a store. With online shopping so convenient how often do buyers shop online for products or services? 15% of buyers will shop online weekly. 28% of consumers will purchase online a few times a month. 37% will shop less often than a few times a month. 20% say they never shop online. Online customer reviews can play an essential role in an online shopper's decision to make a purchase. Online shoppers will look at customer reviews to gain insight into a product that they do not have the opportunity to feel or touch before making a purchasing decision. of consumers will form an opinion about your company with just 1 to 3 reviews. of consumers say that they will trust a business more if they see a positive review. aged 18-34 will trust an online review more than the advice of family or friends. Customer satisfaction is a crucial part of online shopping and marketing. If customers are satisfied, they are more likely to leave a positive review, recommend your product or company to others, and become a repeat customer. Statistics show that unhappy customers can tarnish the reputation of businesses and that most customers find the customer experience one of the most important aspects of doing business with a company. 67% of customers have stated a bad customer experience was the reason for them not returning as a customer. 85% of customers who have a negative experience want to warn others about the company. 50% of customers say they would use a company again if they had a good customer experience. 39% will avoid a company for more than two years after they have had a negative experience. When a shopper abandons a cart, it accounts for a significant amount of lost revenue. Some shoppers may fill their cart as it is an easy way to browse or may simply abandon it after filling it due to such things as shipping times, costs, or uncertainty. Over 68% of shoppers will abandon their shopping carts. Cart abandonment can constitute a loss of up to $18 billion annually in lost sales. The abandon rate for shopping carts is higher on mobile devices than on laptops with 97% and 75% respectively. The top reason shoppers abandon their cart is the shipping costs were more than expected. This accounts for 54% of cart abandonment reasons. Mobile devices are a part of most consumers everyday lives, and with the ever-increasing technology of these devices, we can do perform a number of functions from communication, finding information, navigating, and even online shopping. As the mobile influence continues to grow in both the U.S. and the U.K., online shopping outlets and eCommerce sites will benefit from giving their websites a mobile-friendly makeover. Check out these interesting stats about mobile commerce. At least 2 billion mobile users will engage in some form of mobile commerce transaction throughout the year. Mobile users account for up to 27% of all of the Ecommerce sales. Those who use their mobile device to shop will often spend twice as much than those using a desktop. Both mobile device and tablet use for online purchases has doubled in the past year from 8% to 15% and from 5% to 10% respectively. 56% of mobile shoppers plan to use their device for holiday shopping this year. 53% of mobile users will shop on company-specific apps downloaded from the app store. What Factors Influence Online Purchases? A common question among online stores is what compels shoppers to make their online purchase. These influencing factors often push the shopper to complete the purchase instead of abandoning their cart. See below to find out what is most likely to influence and motivate the online shopping community. 87% of shoppers cite price as a factor. 80% will choose an item due to the speed of shipping as well as the costs. Online shoppers are more likely to buy due to a recommendation from family and friends over advertisement with 42% saying they have purchased due to a family recommendation. Millennials and Gen Xers are more often influenced by advertising than the older generations with 27% citing influence and 14% respectively. Online shoppers prefer products with pictures with 78% citing photos as influencing their purchasing behavior. Females will spend more time looking for a deal online than their male counterparts with 60% for females and 46% for males. 21% of shoppers cited abandoning purchases due to hard to navigate websites. Social media and social commerce continue to grow, providing retailers with the unique opportunity to connect with their target audience through social media linking and advertising allowing them to reach a larger audience through sharing. The statistics of social media influences speak for themselves. 30% of online shoppers said that they were likely to make a purchase through a popular social media network. The break down of shoppers responses by site were as follows: 20% are likely to buy from Facebook, 17% from Pinterest, 14% from Instagram, 12% from Twitter, and 10% from SnapChat. In all social media venues, men are more likely to make a purchase than women. 21% of online shoppers will purchase an item that is featured on a company Facebook post. Having a high conversion rate is one of the primary goals of any online shopping or eCommerce site. The more visitors you convert to customers, the higher your overall sales as well as your market reach. Trends in online shopping vary greatly whether you are looking at genders and generation though both genders and al generation spend some time in the online shopping world. In the past year, men have reported spending 28% more than their female counterparts in an online atmosphere. Men reported to have shopped at large retail sites 75% of the time, at category-specific online stores 31% of the time, and independent boutiques or webstore 39% of the time. The breakdown for women was similar with 74% at large retailers, 40% at category specific, and 48$ at independent webstores. Men are more likely than women to make a purchase online after consuming alcohol with 14% doing so. Both males and females estimate about five hours a week is spent on online shopping. Both Millennials and Gen Xers will spend 50% more time shopping online than Baby Boomers and Seniors with 67% of millennials and 56% of Gen Xers preferring to shop online rather than in a store. While 41% of Baby Boomers will go online to make a purchase, only 28% of Seniors will. The Millennial generation and Gen Xers will spend two hours more than the older generations online each week at about six hours a week. Baby Boomers will spend the next highest number of hours shopping online at 4 hours with Seniors shopping the least at 2.5 hours. When it comes to where each generation shops; 59% of Baby Boomers will shop at online marketplaces, with 56% of Gen Xers shopping there, 51% of Seniors, and 48% of Millennials. Gen Xers and Millennials shop the most at large retailers with a total of 76% shopping there. There is a slight decline with Baby Boomers ar 74% and a larger decline with Seniors at 66%. Seniors account for the highest percentage of category-specific stores at 44% with Baby Boomers behind them at 39%, Gen Xers at 37%, and Millennials at 29%. While those who live in cities, suburbia, or even in rural areas all participate in online shopping, their shopping habits vary from area to area. Even though city dwellers will have more access to brick and mortar stores, they are more likely to make their purchases online. Those in metropolitan areas will spend an annual average of $853 online, while suburbanites spend $768 and those in rural areas spend about $684. 60% of suburban households report shopping online, with rural households at 58% and those in metropolitan areas coming in at 38%. When surveyed, suburban households cite shipping costs as their highest concerns with those living in rural areas mainly reporting privacy concerns. Even though spending dollars may be different by location, all areas tend to spend the same amount of time shopping online with those in metropolitan areas averaging 4.5 hours per week and rural and suburban areas shopping about 5 hours per week. Where each location shops varies most in the category-specific stores with 42% of suburban dwellers shopping there, 40% of rural families, and 30% of those living in a metropolitan area. Parents lead busy lives and online shopping is a great way to help them get what they need to get done with out unnecessary trips to the store or packing up the children to leave the house to get a few items. Check out these stats that show how parents have taken to online shopping with fervor. Parents definitely lead the pack when it comes to online shopping with parents spending up to 7 hours a week for online shopping over the 4 hours of their non-parent counterparts. Almost half of parents say they could not live without online shopping and they spend 61% more time online than those without children. Parents shop most at large retailers with 78% making purchases there, 53% shopping on an online marketplace, 53% shopping at independent boutiques, and 34% shopping at category-specific stores. Parents are twice as likely to make an online purchase after consuming alcohol. Where do buyers make their purchases from? The beauty of online shopping is the ability to shop from almost anywhere. So the question is, where are online shoppers most likely to make their purchases from. 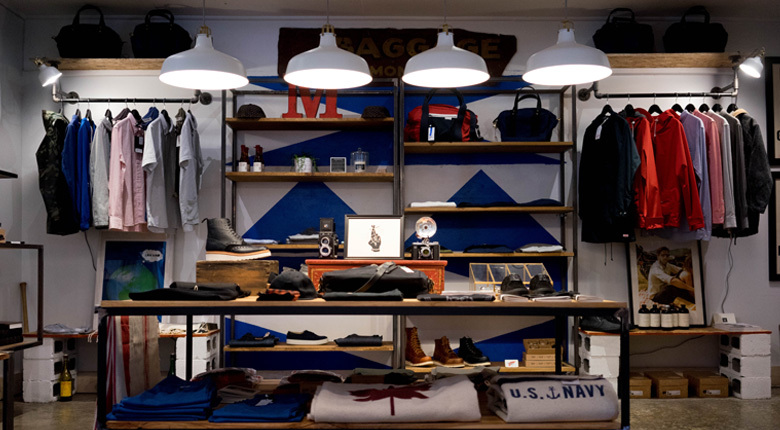 25% of shoppers will make a purchase online while physically in a retail store. 43% of shoppers will shop from the comfort of their bed with Millennials and Gen Xers three times more likely to do so. 29% of Millenials and Gen Xers and 15% of Seniors and Baby Boomers have admitted to making purchases online while at the office. Online shoppers will literally shop anywhere with 20% of shoppers reporting making an online purchase while they were in the bathroom. 1 in 10 shoppers that online stores will receive a sale form have recently consumed alcohol. The online shopping world is broken up into marketplaces, large retailers, independent and boutique stores, and category-specific stores. One of the categories that sees the highest is the online marketplace though the share of the market is definitely skewed. 45% of all online shopping occurs on an online marketplace. Amazon has the highest share of sales on the online market with 36%. Ebay is the second most frequented online marketplace accounting for 8% of sales. Shops like Etsy and other marketplace sellers only see a piece of the sales at about 1% of online marketplace dollars. Those who use online marketplaces will shop online more often and spend more online. Consumers spend an annual average of $488 in marketplaces. The highest selling products on marketplaces are movies, books, and music at 44%; Computers and computer accessories at 34%; and health an beauty products at 29%. With online shopping on the rise in both the United States and the United Kingdom, there are many interesting facts and stats that you might like to learn about online shopping and eCommerce. Apparel retailers will see the highest number of visitors using mobile devices than any other retail category. Social referrals to retail sites have doubled in the past year. Consumer electronics retailers struggle the most when it comes to keeping visitors on their site especially those who are making their visits using smartphones. 51% of American shoppers think that shopping online is the best way to shop. 40% of shoppers claim they could not live without the ability to shop online. 95% of shoppers will buy online at least once during the year. At least 4% of consumers in the United States have admitted to making an online purchase on their mobile device at a social gathering.